Most gardeners are considered among the world’s most charming snobs. Rightly so, as with the mathematicians or musicians the more the gardeners spend the time in the garden, the more elegant they get at their work. This has led the people to believe that geeks, the people who are more into studying, technology, or coding stuff don’t garden, which is completely false. There are geeks who love plants and even want to have their own garden with various species of plants in it. If you’re a geek who loves plants and are looking to make your garden this article will help you become the perfect gardener. This article will focus on specific gadgets that could bring your love for technology into your outdoor garden to have a perfect outdoor (or indoor) oasis. 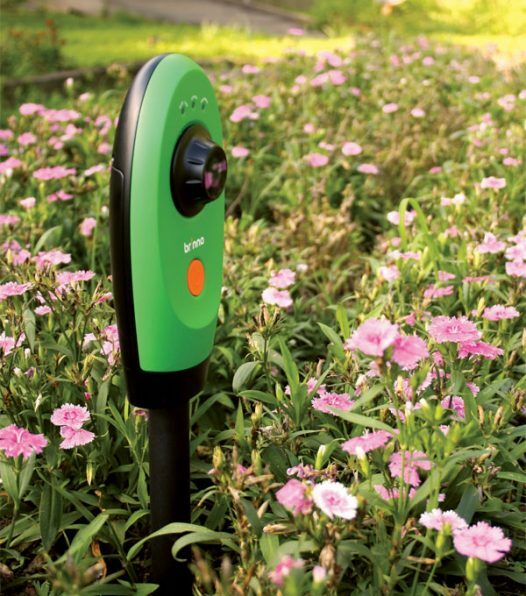 The parrot flower power sensor is a device that is capable of monitoring and assessing the needs of your plants. The device can be fixed in a pot or on the ground near the plant that needs to be monitored and it then starts monitoring four essential parameters that are essential for the plant’s health. The parrot flower power sensor monitors the sunlight received by the plant, the temperature around the plant, the amount of fertilizer in the soil, and the water or the moisture present in the soil. Whenever the plant needs attention or whenever there is any change in the conditions that can hamper the growth of the plant, the device sends a notification to your smartphone highlighting the problems or the thing that you need to focus on. 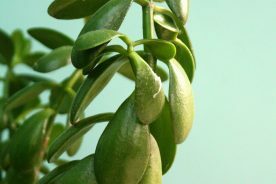 You’ll get notified on when to water the plant when to put fertilizer, when to put your plant out in the sunlight, and even reports that state the plant’s growth. The Parrot Flower power sensor is cool in many ways. The gadget uses the latest Bluetooth 4.0 to connect to your smartphone and provide your updates and notifications about the plant. It uses a special application designed for mobile devices running on iOS and Android to provide the growth reports and status of the plant. Furthermore, the battery of the device lasts for 6 months and the device is completely IFTTT compatible which means it can be connected with the gadgets, like Amazon Echo, Google Home, or Apple Home to receive quick updates. The database of the gadget consists of more than 7000 plants, which means no matter what plants you get for your garden, you’ll have its complete information in the application. Apart from the device you only need a smartphone that runs Android or iOS operating systems to enjoy the benefits of this livery device. The Parrot Flower Power Sensor is a small and handy device having dimensions of 15x20x2 cm and weighs just around 170g. 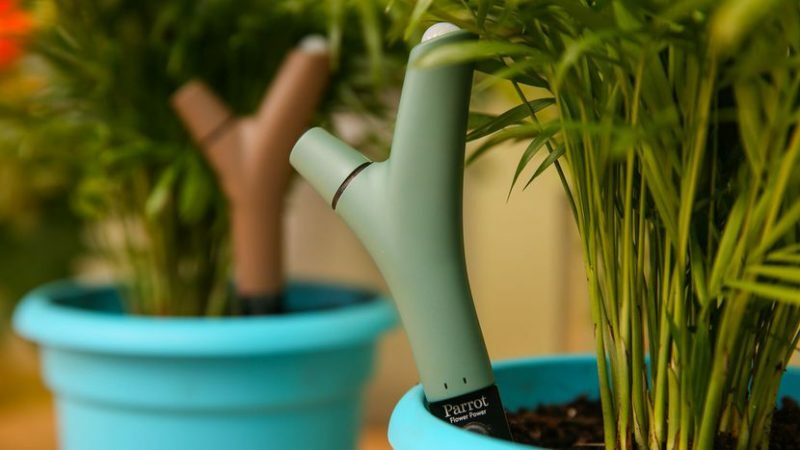 You can buy this device directly from the official web store of Parrot with other gardening devices as well. Check it out here. This device is a robot that literally resides in your garden and prevents the weeds from getting into your garden. 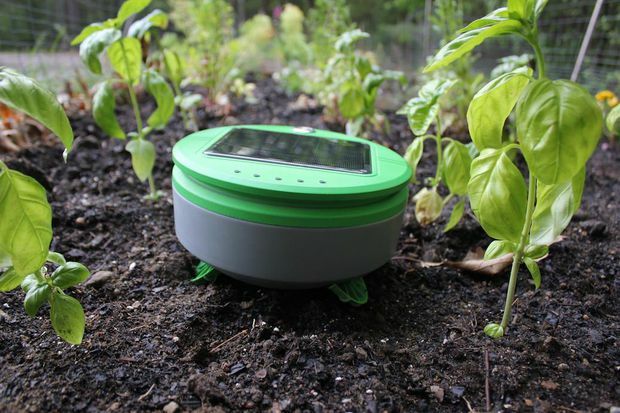 Using unique design elements and a number of sensors, the robot guards your garden avoiding plants and obstacles while finding weeds to eliminate from the garden. The device has a sensor that searches for weed or small plants and through a weed whacker, it removes the plant. The robot has a sturdy design and has solar panels on the top to get energy. You needn’t take the device inside and charge it through a plug point, all you need to do is leave the robot outside in the sun and it will charge itself without you even looking at it. After getting charged the device runs on its own and searches for weeds to get rid of from the garden. Now, most people would be thinking that this being an automatic robot there are chances that it might get stuck in the wet soil of the garden, but the Tertill robot has a four wheel drive mechanism that helps it move forward in all types of terrains. It can move easily in wet soil, it can move through sand, and it can even climb efficiently. The Tertill robot runs completely on the solar energy and can recharge itself even when there are clouds around. It runs around your garden every day to make sure that there is no new weed growing which makes it very effective. The product ensures that you don’t use any chemicals in your garden and it’s itself free from any chemicals that can affect your garden. Furthermore, the device is waterproof as well and supports the latest Bluetooth version to get connected with your smartphone. The robot’s sensors are very powerful and whenever they sense any plant less than the clearance of the robot they automatically activate the weed whacker, which removes the plant at once ensuring no weed grows in the garden. The Tertill robot generally requires no more devices or resources to work; however, you can connect it to your smartphone via Bluetooth. There is also a micro-USB port provided in the robot which can be used as a backup charger for the robot when it’s required. The device is quite compact and small and its dimensions are 8.25 × 8.25 × 4.75 inches. Tertill robot weighs around 2.5 lbs which roughly is 1.1 kg. The device is still in its development stages and currently not available on the market. However, you can preorder the robot from the kickstarters.com website. The device will cost you around $249 and once you pre-book the device, you’ll get your device shipped in the first quarter of 2018. If you love to garden, but you’re worried about wasting a lot of water while watering the plant then the Oya plant waterer is one of the best devices you can get. It’s an old-school terracotta vessel that could be filled with water and buried in the ground of your garden. The waterer then waters your plants day in and day out from beneath the soil, which ensures no extra water is wasted and the plants get water regularly. The bottle shaped terracotta vessel has a porous surface that leaks very small amounts of water all the time. It releases the water to a diameter of few feet, where plant roots can reach and have access to the water. These come in three sizes, small, medium, and large, you can get one for your garden depending on the size of it. If you have a very large garden then you’ll need to get more than one GrowOya waterer. The bottle shaped terracotta design of the Oya waterer looks great and is more than useful. It is designed to be buried in the ground and with the top of the vessel above the ground, it’s easy to refill it as well. Its porous design ensures that not a lot of water is wasted out of the vessel but ensuring that the soil around the vessel is moist all the time enabling the plants to access to whatever day in and day out. Furthermore, the waterer helps in discouraging weed growth as the weeds require more water to grow. There are studies that have found that using the Oya waterer saves almost 70% of the water that is generally used in the garden. Apart from the Oya plant waterer, you’ll not need any other thing required. However, you must make sure that the vessel has water to ensure that the plants get watered by it. Filling water in the vessel once a week is a good idea since it reduces the risk of the vessel going dry. The Oya water vessel comes in three sizes small, medium, and large, and depending on the size of your garden you can choose the size of the vessel. Medium sized Oya vessel has the product dimensions of 12 × 8 × 8 inches and the large sized Oya waterer has the dimensions of 15 × 10 ×10 inches. You can get the Oya plant waterer, which is also known as GrowOya Clay Planter online from Amazon and the medium size will cost you $31.99 whereas the large sized vessel will cost you $49.99. A report suggests that an average American spends more than 70 hours a year on lawn care, with the most time spent on mowing the lawn. This is why getting a robotic lawn mower can be a good idea that could not only mow your garden to perfection but also will save a lot of your precious time that you would have spent on mowing the lawn. There are various types and kinds of robotic mowers available in the market now and each of them has different specifications. Some of the robotic lawn mowers are charged directly from a plug point while some have solar panels to get charged when in the out, some of them are larger is size while some are smaller and compact, all you need to do is just get one that fits your needs. The robotic lawn mowers have specific algorithms pre-installed in them, which enables them to move around your lawn and mow it to perfection. These robots need no human interference and they just need to be switched on to get them going. The other cool fact about these devices is that most of the lawn mower robots have sensors that detect where the robot is going and save the robot from hitting any obstacles, like trees, rocks, and various other things. These robots are generally waterproof and are easy to install and use. One robotic lawn mower can mow an entire garden irrespective of its size, provided it is completely charged. Generally, most of the robotic lawn mowers don’t require any extra gadgets, but now with the increasing use of smartphones there are some of the lawnmowers available that connect to your smartphone. 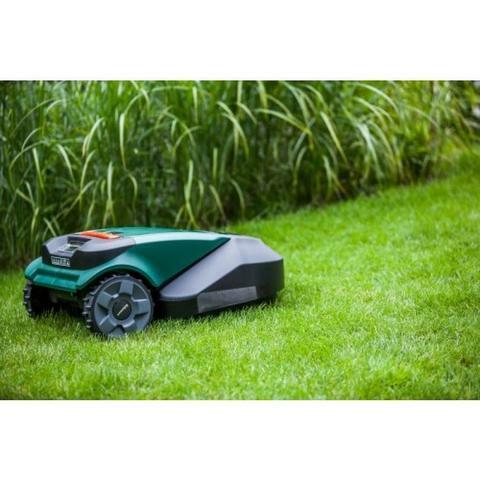 The robotic lawn mowers come in various sizes, they can be very large like the traditional lawn mowers or even can be small and handy but powerful at the same time. 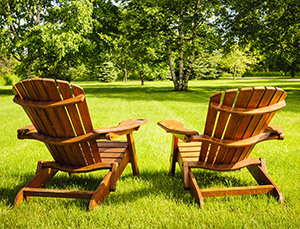 It’s now on you to buy a robotic lawn mower that is best suited for the lawn. Robotic lawn mowers are very easily available in the online websites, like Amazon and some of them are available in gardening stores and other stores dealing with appliances and gadgets. 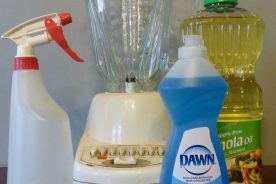 These products have their costs depending on the size and the power. Good lawn mower robots like the WORX WG794 28-volt Landroid Robotic Lawn Mower cost around $900 to $1000. 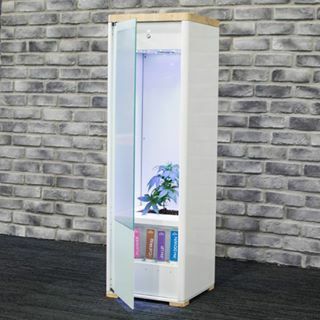 If you want to grow your own fruits, vegetables, or medicines at your home but don’t have resources to do so then the Grobo indoor garden is a device that you should have. It has a simple set and forget operation that helps in growing any plant inside it. The device also doubles up as a display case to showcase what you’ve grown in your own personal garden. The device is very easy to use and all you need to do is put the seeds of the plant you need to grow in the soil bed present in the device and then insert nutrient capsules in the bottom compartment of the device, and now just turn the device on and forget. 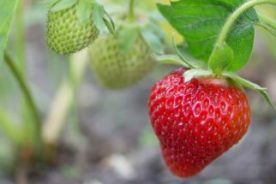 From there everything is taken care of by the device including monitoring the growth of the plant, adjusting to the conditions, providing sunlight and various things. The Grobo indoor garden is completely app-controlled and the database of the app consists of thousands of plants. Once you put the seed in the soil bed of the device all you need to do is just select the plant that you intend to grow and the rest is taken care of by the device, which includes watering, environmental control, temperature control, nutrients providing, sunlight, and various other things. Once everything is set up all the users need to do is wait till the plant grows. The device also records and monitors the growth of the plant and when there is any problem it notifies the users regarding the problems and the daily monitoring charts. Grobo indoor garden also has an activated carbon filter that takes out any smell coming from the plant. Apart from the device, you need to have a smartphone that could run the Grobo garden application. You’ll also need to get the nutrients that are required by the specific plant that you intend to grow in the device. The device is large enough to provide room for any mid-sized plant to grow inside it. Its dimensions are 14 × 14 × 48, which is large enough to grow any plant you want to. You can get the Grobo indoor garden from its official website and the device will cost you around $1699. Check it out here. These are the devices used to improve the crop yield for hydroponic and commercial gardeners as well as the home gardeners. The VegiBee Garden Pollinator is one of the best garden pollinators available in the market. It’s designed to imitate the frequency of a bee’s wings during pollination. These vibrations gently release pollen from the flower to a collection spoon. The collected pollen is then dipped into the flower stigma of the same plant and this process helps to boost the average garden yield by more than 30% annually. The battery powered pollinators are ideal to use for self-pollinating plants and vegetables, like beans, tomatoes, pepper, eggplant, peas, and many other plants. The battery-powered plant-pollinator is a great product to have considering the fact that the population of the bees is getting down increasingly. Their one-speed mechanism and their ability to vibrate like the wings of the bee is what that makes them very effective. With the help of the plant-pollinator, you can ensure that the yields are high. The other cool fact of the device is that it uses solar energy to charge itself. You’ll need nothing more than the plant-pollinator kit to get going. The VegiBee garden pollinator comes with required instruments like the pollen collector, and the other things. The device has a small and complex design with dimensions 2.8 × 7.3 ×10.4 inches and weighs around 0.65 pounds which make it very easy to be carried wherever you want. You can get the device from online stores, like Amazon and eBay and will cost you around $30. Plants in the garden grow very fast and after a point of time, there are very subtle differences in the growth that generally any human can skip. However, if you want to keep a close eye on your plants to make sure that they are growing, a watch camera is a good option to use. The Brinno GardenWatchCam is a 1.3-megapixel time-lapse camera that captures the growth of plants in your garden. You get seven different time interval settings in the device starting from 1 minute to 24 hours, which means you can set any time interval for the device to click pictures of your garden or the plant. The camera is east to operate and takes high-resolution images of the plants which are then kept systematically in a time lapse to allow you notice those subtle changes occurring in the plants. The camera is very helpful as you can know if the plants are growing in the manner they are meant to or are there some problems. It can also let you know about the fall foliage of your plants. The 1.3-megapixel camera of the Brinno GardenWatchCam is designed to click high-quality pictures with the lens adjusting from 20 inches for close-up pictures. The device comes with a 2 GB USB drive to store the JPEG pictures clicked by the camera. It also comes with a flexible mounting stake that could be inserted into the ground of the garden to place the camera in its right place. There’s no additional device requirement for the device to click pictures of your plants. However, if you want to view the pictures you might need a PC or an image viewer. You can also have a tripod on which you can mount the camera and place it in the desired location. The camera is quite small and sturdy with the dimensions of 2.1 × 3.7 × 7.5 inches and it weighs around 12 ounces which make it very portable. You can get the device from the official website of the product or you can also buy it from Amazon by paying just $240. It’s a next-gen smart sprinkler system that aims to reduce the amount of water used while watering the plants. 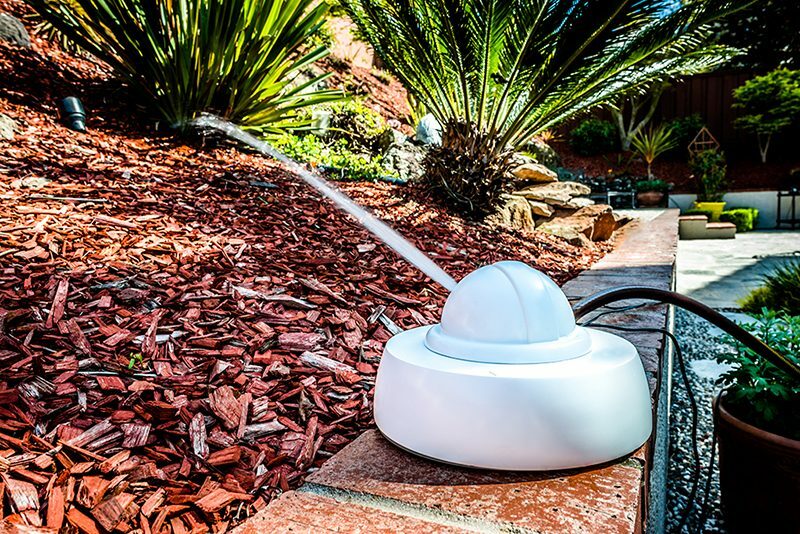 The device uses the latest technology in robotics, connected services, and cloud computing to revolutionize the way water sprinklers function. 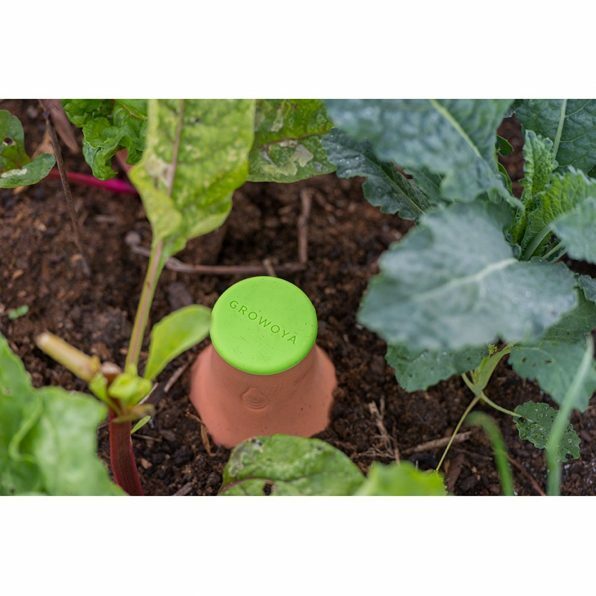 Droplet helps in keeping your plants healthy by drawing upon a vast system of data to determine the amount of water needed by specific plants present in your garden. It’s observed that using this device can reduce water consumption by 90%, which is a great amount of water. The device is very easy to install and once installed it does all the work without you needing to supervise anything. It can be easily configured by a smartphone, tablet, or even a PC through the official droplet website. The Droplet water sprinkler is the only sprinkler that uses cloud and connectivity services to provide water to the plants. However, you need to provide the device with the information about the plants you have in the garden and their locations through a smartphone, a tablet, or by logging into the official Droplet website. This will enable the device to know exactly what plants are present in the garden and their locations which will help the device to determine the amount of water needed by the plant. Apart from the gadget, you need a garden water hose to connect to the sprinkler. Furthermore, you need a smartphone, tablet, or a laptop to provide the information of the different plants and their locations present in your garden. The device is very small and compact with dimensions of 10 × 10 × 6 inches and weight of 7 pounds. You can get the device online through Amazon or you can also get the device from the Home Depot. Find out more here. 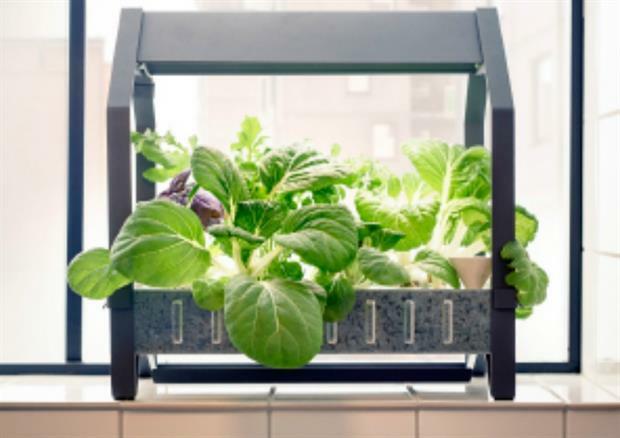 The Ikea indoor hydroponic garden is a collection of different kits that includes everything that you need to set up a hydroponic garden in your home. This kit includes seeds that are needed to be placed on sponge plugs in a tray with water and then they are allowed to germinate in the sun. Once the seeds start sprouting they are moved to proper planters that have pumice in place of soil. Growing plants in the Ikea indoor hydroponic garden is very easy and even novice having no idea about gardening can grow plants with ease. Made by the most well-known furniture manufacturers in the world the indoor garden kit is a boon for indoor hydroponic gardens. The Ikea indoor hydroponic garden is completely different from other indoor gardens available. While most of the indoor gardens use technology and require minimal human interference, the Ikea indoor garden requires your manual involvement, which is good as you know how the plant grows. You will just need the seeds of the plants you want to grow in your indoor hydroponic garden. The Ikea indoor garden kit is equal to the size of a large table. You can buy the Ikea indoor hydroponic garden kits from any Ikea stores nearby. Get more information here. 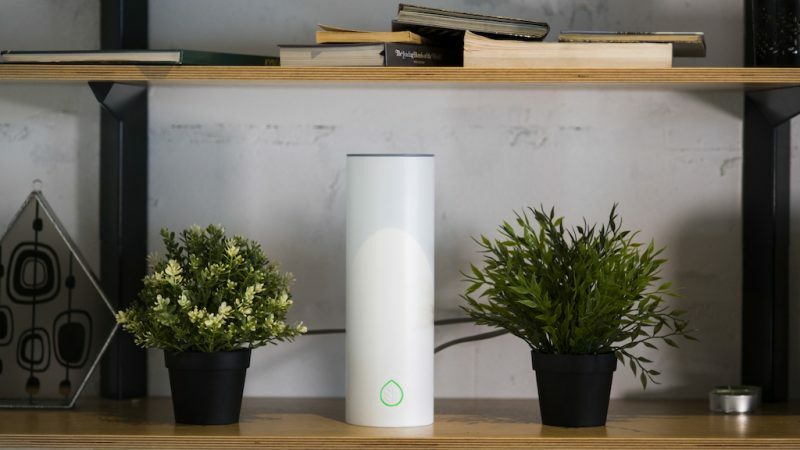 Specially designed to help you take care of your houseplants the Grovio personal plant assistant waters your plants while monitoring the essential conditions, like humidity, temperature, and light. 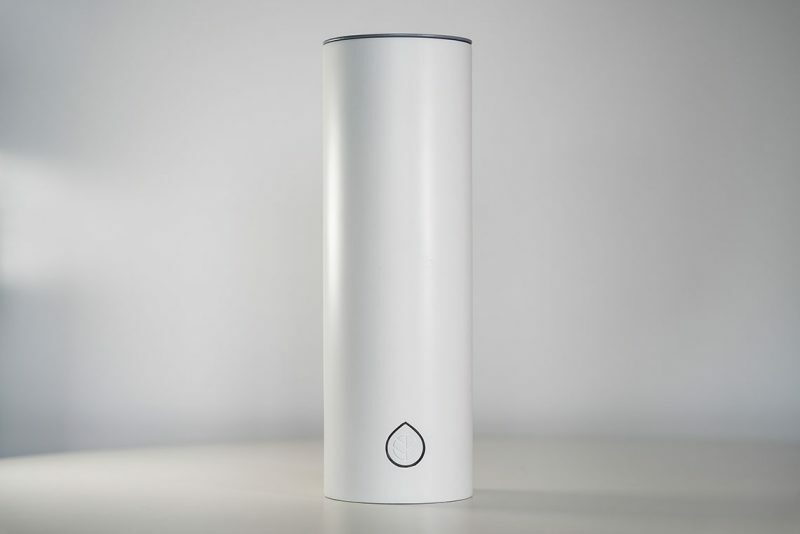 The device can water up to three plants for almost 45 days when filled with water without you needing to interfere. The device also monitors the overall health of the plant. The device is also very easy to use and all you need to do is just fill water in it and then confirm the watering mode for your plant type through the Grovio app and voila! you’re done. you can leave the device with the plant and can go for vacations as well. The device is a very smart gadget that allows you to take your attention off the plants present in your home. it’s completely wireless and also monitors the health of the plant in real-time through its sensors which then provide the reports to your smartphone through its application. The other fascinating thing about this device is, it can work with AI assistants, like Apple Siri, Google Assistant, and Amazon Alexa. You just need a smartphone that has the official application of the device installed which will allow you to receive reports on the plant and even monitor the real-time health of your plant. The device is 11.8 inches high with a diameter of 3.93 inches and weighs up to 0.99 lbs or 450 gms. The device is not presently available but you can pre-order your device through kickstarter.com at $99 and have it delivered to your home in December 2017. Gardening is fun and watching the plants grow in your garden is a great feeling. However, if you don’t have enough time to take care of the garden or you’re just geeky enough to rely on technology for your day to day work, these are some of the best gadgets that could help the plants in your garden grow without you needing to spend your time and efforts.